After holding an event in two sites in Pennsylvania in 2006, the organization began to expand across the nation. With the help of Soles4Souls, a national organization originally formed to assist with shoe donations to Hurricane Katrina victims, our dream of helping men and women throughout United States had been realized. Soles4Souls contributed to Our Hearts to Your Soles by obtaining shoes and then distributing them to each site. On March 8, 2007, Our Hearts to Your Soles conducted a ten state medical screening and shoe giveaway, which assisted over 700 men. We were able to recruit orthopaedic surgeons from the participating states to lead our efforts at their local shelter. Coordination between shelters, physicians, and Soles4Souls was challenging and showed us some of the growing pains that we would have as we continued to build on our previous accomplishments and further refine our mission. Our first Thanksgiving events were also held in 2007. We had expanded to 23 locations across the United States and were able to serve 3,000 homeless men and women. 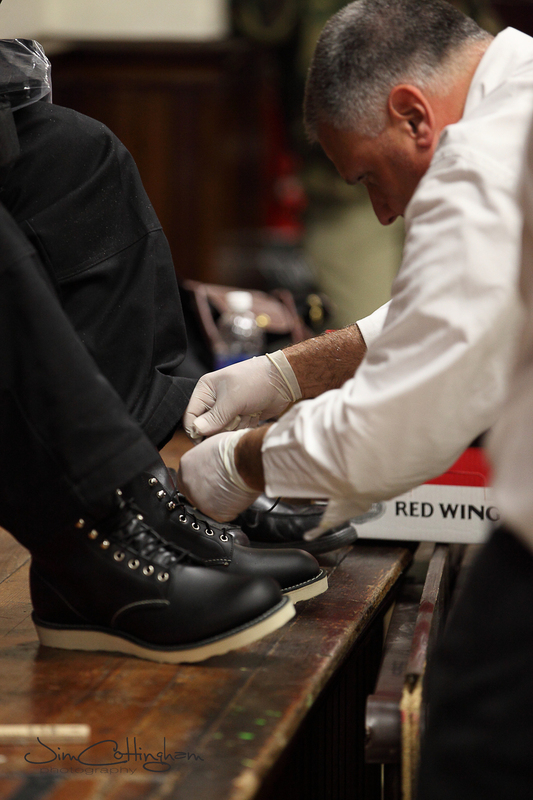 In 2008, we were able to partner with Red Wing Shoes, which has been the major contributor of shoes to our events. Through their generosity, Our Hearts to Your Soles was to able to provide shoes to 4,000 men and women in 2008. In 2009 and 2010, we were able to provide medical care including new services such as flu shots and shoes to over 5,000 men and women each year throughout the United States. Our Hearts to Your Soles partnered with Dignity U Wear, an organization that provides clothes to children, veterans, and women in need, in 2010. Since then, Dignity U Wear has donated over 70,000 pairs of socks to our organization. By 2012, Our Hearts to Your Soles had expanded outside the continental United States into Puerto Rico. With the help of Soles4Souls, Red Wing Shoes, Dignity U Wear, numerous orthopaedic surgeons, and hundreds of volunteers, we have been able to consistently provide 5,000 pairs of shoes and 14,000 pairs of socks to men and women in need each year since 2012.